Hey lovely people! I hope your week is going well so far. Mine was off to a sluggish start, but I think things are starting to pick up now that we are half way through the week. Today's post features the Fallfetti Collection from Lou It Yourself. 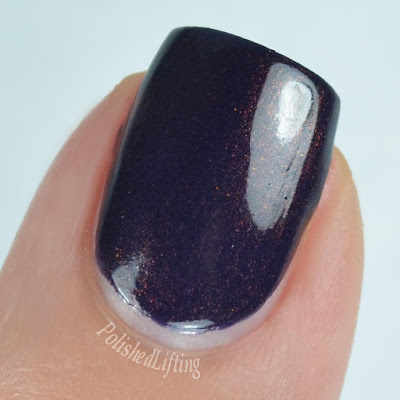 Notes: This one is a little bit tricky to see, but I promise that the blue shimmer is in there. If you have doubts be sure to scroll up and look at the bottle shot above. 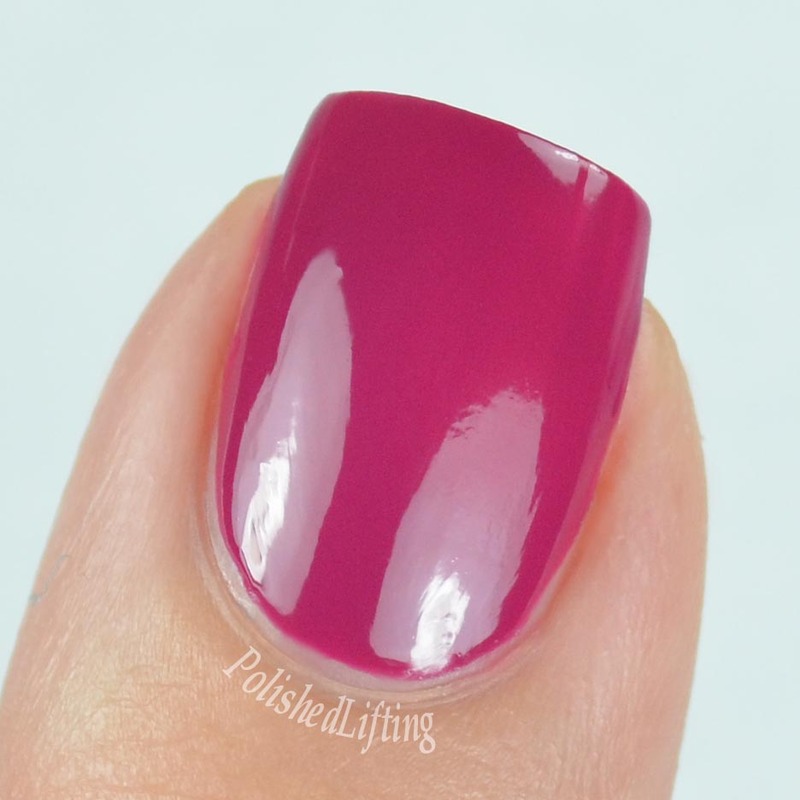 Notes: This berry creme is unexpected for an autumn themed collection, but it's exactly what Fallfetti needed. 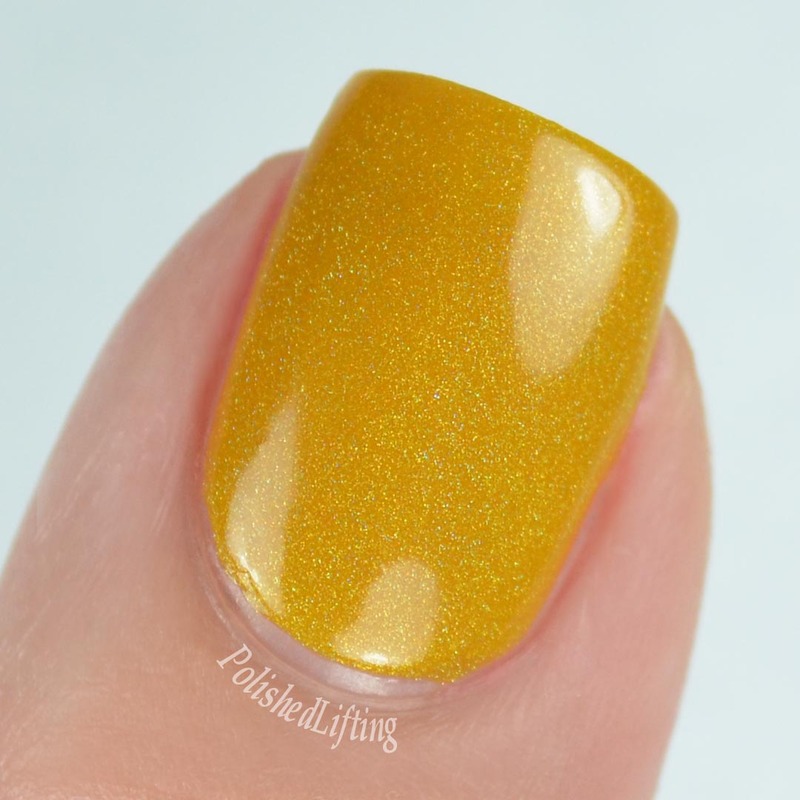 Notes: I can't believe I'm saying this again, but I actually love this mustard shade. Over the last year I've learned that I don't actually hate yellow. I just had to find a couple of shades that I could get along with. This one is going to be a staple in my collection. Notes: Are you guys seeing that shimmer?! I need a vat of this one so that I can repaint my helmers. Notes: Greens as lovely as this one make my heart happy. Notes: This topper looks great over just about everything. You better believe it will make an appearance well after autumn is over. I am head-over-heels in love with this autumn collection. The colors aren't quite what I'm used to seeing this time of year which is what makes it so refreshing. It's autumn themed without being completely made up of browns and reds. The Fallfetti Collection will be available on Friday, September 9th at 3pm MDT. 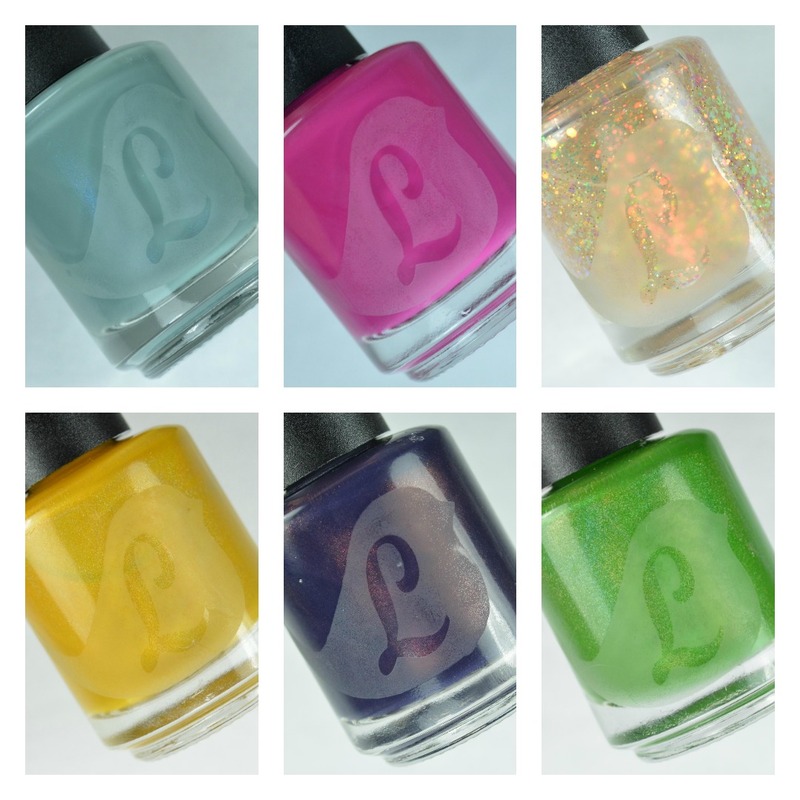 The polishes will retail for $8 each or $42 for the collection plus shipping.